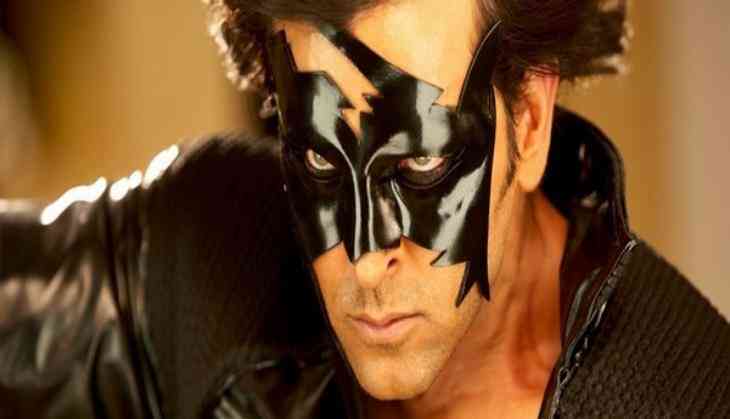 Home » Bollywood News » Hrithik Roshan marks 11 years of the most successful Indian superhero, Krrish! When it is about portraying a role of a superhero in India, the only name that comes to our mind is Hrithik Roshan as 'Krrish'. 'Krrish' is by far the most successful and loved superhero that India has witnessed till date. Released on June 23, 2006, Hrithik Roshan in his superhero avatar garnered a humongous response from the entire young generation with his performance making this one of the most popular franchise films in Indian cinema. Hrithik Roshan took to Twitter saying, it's truly been an incredible journey. One that has spanned 11yrs n still promising more. #11yearsofKrrish thank u all for the love!" Audiences were completely captivated with 'Krrish' flying around with the mask and cape, saving people and spreading happiness. Hrithik Roshan not only impressed the young audience but also swooned adults with his idealistic physic and flexibility to perform high-octane action scenes. It has been 11 years but Hrithik Roshan remains the most successful and loved superhero that India has seen till date. The upcoming Marathi film also has the superhero Krrish playing an important part in the storytelling. Kids want to be like him, girls drool over him. Hrithik Roshan as 'Krrish' will be remembered whenever we speak of Indian superheroes. In fact, everyone has been waiting eagerly for the next instalment of the franchise, ' Krrish 4'.